The passing this morning of Laurent Fignon after a very courageous battle against cancer hit home. He was only 50, a milestone I'll reach myself within a few weeks. Way, WAY too flippin young. A forced reflection on the capricious nature of life, luck and health. Fignon's life should be deemed full, but not complete. He accomplished a lot in his short 50 years. In addition to his well documented victories, he saved and then ran Paris-Nice for a few years, opened the Centre Laurent Fignon in the Pyrenees (a highly recommended lodging place for cyclosportifs), and provided insightful TV commentary during the Tour de France. And like Jacques Anquetil before him, he campaigned one final Tour, while fighting a maladie that would take him a few weeks later. He was, according to those who knew him better, a private family man. A loving husband and father. Congratulations to Flandria Cafe's favorite Belorussian, my CCB International club-mate Dzmitry Buben, who this past weekend defended his FIS-RSC Weltradsportwoche Championship last week in Deutschlandsberg, Austria. Dima dominated the competition. Criterium -1st. Eibiswald RR- 1st (2'25" up). Sprints -4th. 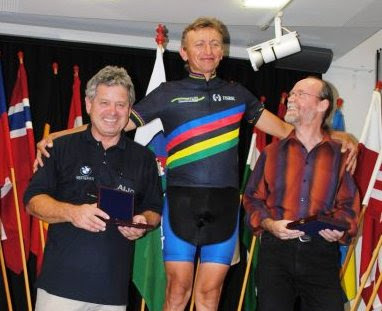 Hillclimb -2nd, Bad Gams RR 2nd (behind teammate Vladimir Beliauski), and Steins ITT - 1st. 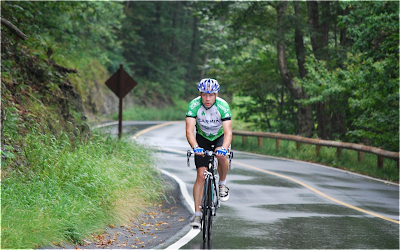 I first met Dima this past spring at the Blue Hills Road Race. A tremendously nice guy. And a ferocious competitor of true class. I remember riding together warming down after that race; one where Dzmitry attacked incessantly but to no avail - in the end frustratingly buried in a mass sprint. As we chatted he lamented, "Where is my form?" Well, looks like you found it Dima. OK, so maybe a hill climb is not the ideal debut effort just coming back after a broken collarbone, with no intensity training in months, and still ~10 pounds or so over a reasonable fighting weight. But 8 miles flat out up Rockwell Road to the highest point in Massachusetts was just what I needed both physically and spiritually. For a guy who never had 'natural climber' at the top of my cycling attributes list, I'm still attracted to the challenge of trying to improve on the big climbs. The Quest for VAM. Finding your inner Charly Gaul. If there's one thing I've learned over the years, it's that nobody knows hotels like racing cyclists. They see so many, they can be pretty critical of them too. 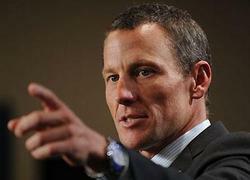 Lance Armstrong's latest War? It not against Jeff Novitsky and the FDA. Nor is it against cancer. This week, he declared war on French chain hotels. C'est la Guerre! See article here. War is hell. And take it from me, unless you've stayed in one, so is an Accor-hotels Formule1 on an autoroute outside Toulouse. Particularly one without air-conditioning. In July. Daniel Martin won the Tre Valli Varesine today. 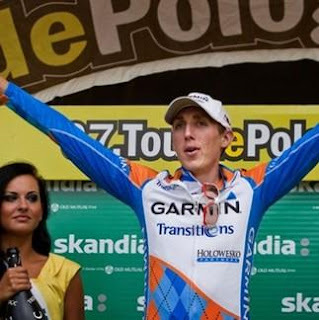 Add this one to his recent Tour of Poland victory, and it's clear that Garmin's Irish climber is finding super form now. The roads that surround Varese are hilly and hard. This Italian summer classic, which has a long tradition that goes back to the time of Coppi and Bartali, is no small race. Winning solo against all the Italians who rode in hopes of showing new Azzurri D.T. Paolo Bettini they're got the form to be selected for the World Championships, is no small feat. The last big one- day pro race won by an Irishman? 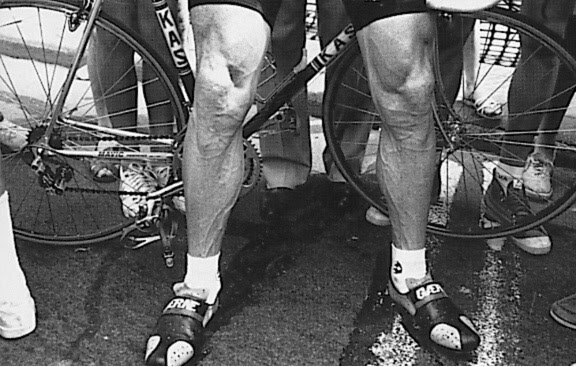 I believe we'd have to go back to 1993, and that Milan San Remo taken by Sean Kelly. For us bhoys, it's been a long time. And yes wielercafe fans, despite his childhood in England, Danny Martin is ours. He's a Paddy. Better yet, one on an American team. Remembering Jempi - 40 years later. He was the James Dean of cycling. Forty years ago yesterday, on August 16, 1970, Belgium's Jempi Monsere had the world at his feet. 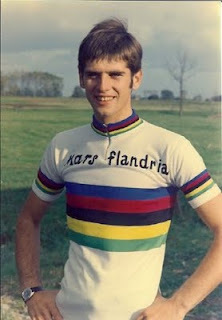 Flandria's home-grown superstar had just won the World Professional Road Championships in Leicester, England - and seemed destined for a career that would rival that of his other superstar countryman, the legendary Eddy Merckx. Tragically, just a few short months later, Jempi lost his life in a minor early season Kermesse in Retie. It was March, 1971. He was coming out of a curve, struck a car going opposite the race, and was killed instantly. He left a wife and toddler son. All of Belgium, and cycling, mourned. Reasons why bike racers don't get taken seriously: #57 - Animals. Just what is it about animals and bike races anyway? Whether it's that sheep-in-the-road incident in this year's Tour, chezzy-cliche helicopter panning shots of a horse running alongside the peloton, or that unsuccessful slapstick attempt to corral a stray dog in a Giro finish straight (memorialized on film in The Greatest Show on Earthhere) -- our four-legged friends can always be counted on to provide some of the more comical moments in bicycle racing. I mean, just look at the cute shot of Toto leading Milan San Remo. You can bet your last GU shot that LeBron James and Lionel Messi would never have to deal with that! Well, cafe supporters - here's a new one that beats all prior entries for pure comedy value. Check out the videohere sent to me today by my pal Francis the Flahute - who rides with Threshhold cycling out of Boston. ..you can see the veins through your skin. Look at yours. Then look at King Kelly's. Put down the snack. Go to bed hungry.